Foodies will love this place for the mouthwatering cuisine and cookery school as much as the local produce such as truffles. Totally unwind with bamboo massages in the spa, followed by a dip in the pool and a snooze on your palatial bed! Learn to whip up your favourite dishes from the menu at the in house cookery school. Rent a vintage car for the day and tour the area in style. There are wonderful hiking routes nearby, ask your hosts for their favourites. Make the most of the extensive cellar and enjoy the hotels wine tastings. The hotel offers bike rental, a great activity for all the family. Canoeing is on offer nearby, and is a great way to explore the sights along the riverbanks. 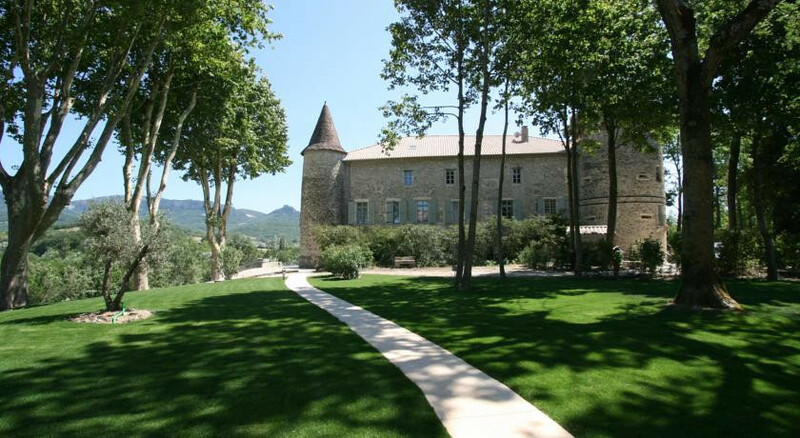 Nearby medieval villages such as Grignan, Poët Laval and Mirmand are not to be missed. "Now, having been renovated to create 16 uncluttered yet lofy bedrooms, it lords it over five hectares of landscaped parkland, with dining terraces (the food is a highlight), boules pitch and an infinity pool."